Help : Depending on the Client Automatic Archive Level documents and reports are saved and available for view. 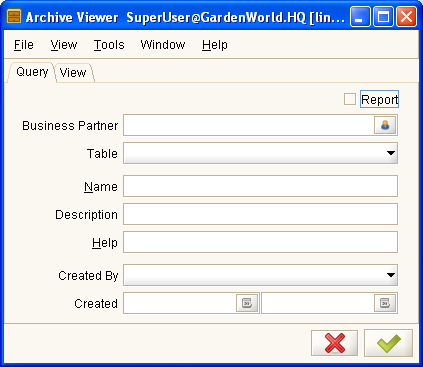 In the Report Viewer you can manually archive Documents or Reports. You can only view archives, if you have access to the original document.